Welcome to Smile Taipei !! ST is not only comfortable but also homey. ST team is more than happy to help you with any difficulty that you may encounter. ST is located near Taipei International Flora Exposition. 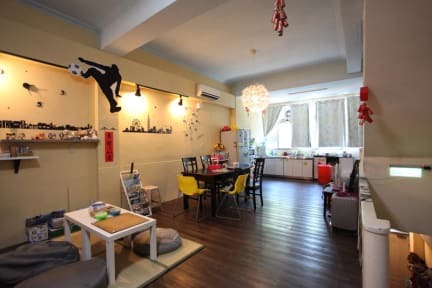 It's just 5 minutes walk from MRT Yuanshan station Exit1. Less than 20 seconds of walk, you can find Dalong night market. Confucius Temple is just across the road. 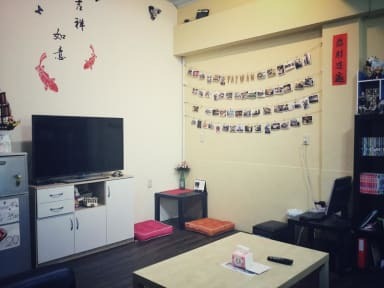 More attractions and night markets, such as The Grand Hotel, Taipei Fine Arts Museum, Dadaocheng Wharf, Ningxia night market etc..
Our place is shared house, management like shared apartment. No twenty-four hours at home. After you make the bookings online, we will send you more detail information and confirmation. I've had a great stay at ray's smile Taipei. Felt right at home! We had a great stay in this hostel. Warm welcome with tea and a treat. The host was very helpful in pointing out the best places in the neighbourhood and helped us find a doctor. Great ending to our holiday in Taiwan. Great hostel with a cool vibe and a wonderful and helpful owner. The hostel is very spacious too, so after a day in the city there is plenty of room (and facilities) to relax.